Styled with berna pant . 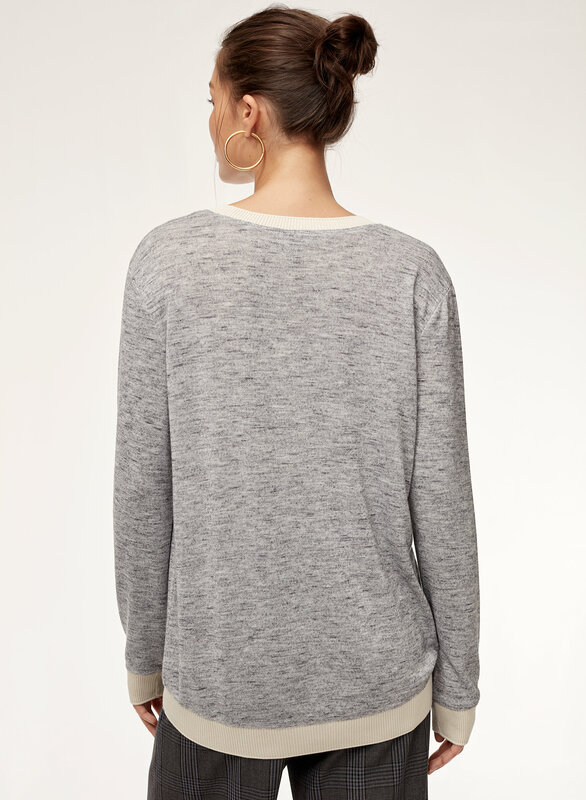 Perfectly slouchy, this casual t-shirt/sweater hybrid is made from a special marled jersey with a warm feel. So happy I took advantage of the Black Friday sale to buy this beauty of a shirt/sweater! I bought this on black friday and i regret that I didn't buy other colours. 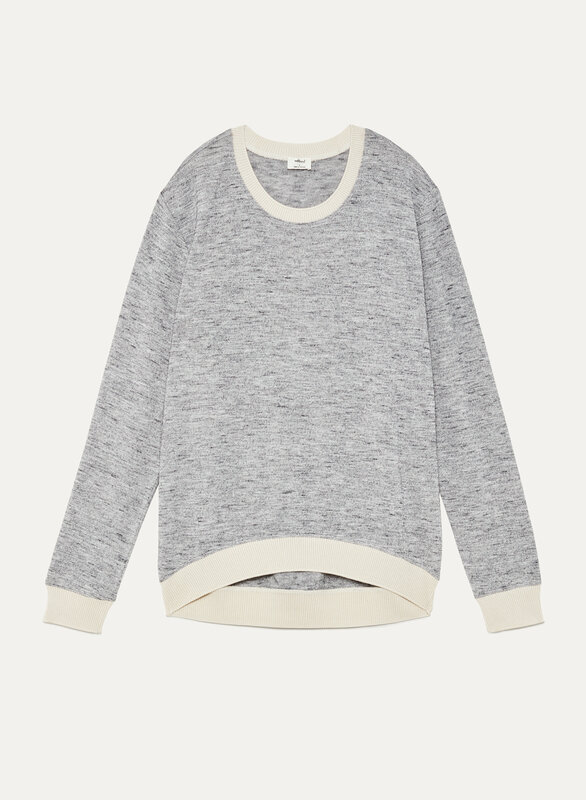 The light grey one with cream cuffs and colour looks great with jeans or leggings. It's a little looser than I expected but so comfortable. 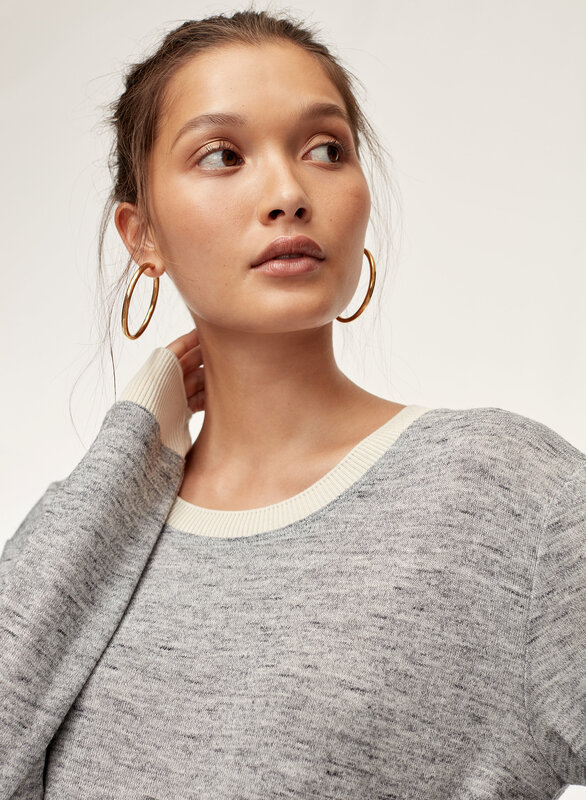 This is a great casual sweater. 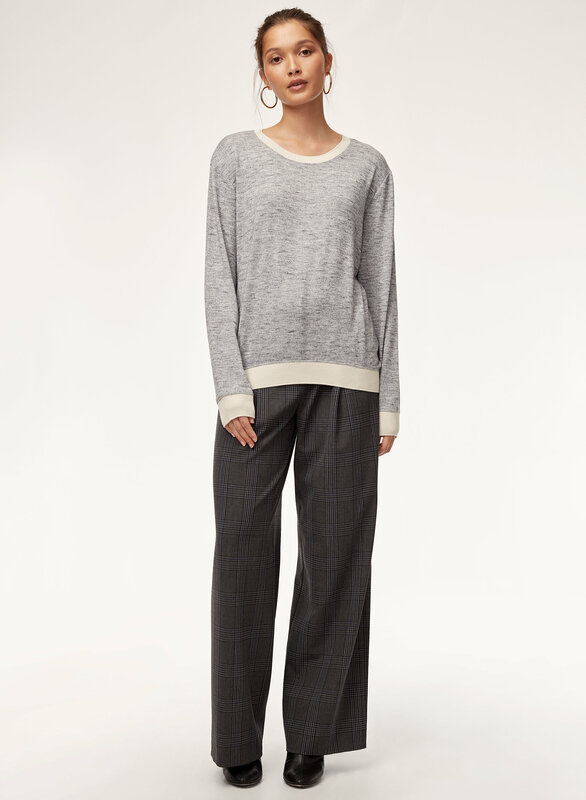 Relaxed fit and comfortable.